Note: This so far is working on any targeted project that Visual Studio 11 except .NET 4.5. 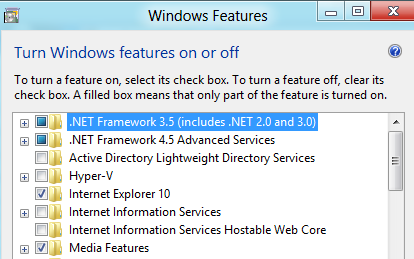 If something specific is not working on say .net 4 or 3.5 please let me know and I will update this post. 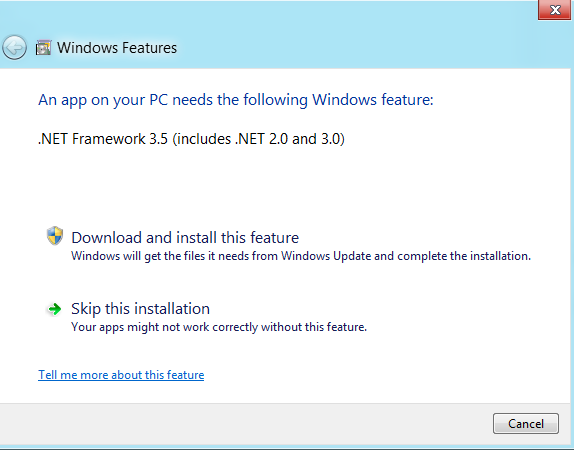 Just to highlight the note this only works so far with non .NET 4.5 applications. After the downloading of the components are complete you will need to reboot win8. After that any .NET 4/3.5 application should compile and add the Aspects correctly to your project. Click to Download and Install this feature. This entry was posted in PostSharp, Visual Studio and tagged C#, PostSharp, Visual Studio. Bookmark the permalink.